Do you have a problem child, or could you expecting too much from your child’s behaviour? As a parent you want the best for your child. But today there has never been more expectations on how a child should behave and on the best ways to parent. Parents judge themselves too harshly, judge other parents too harshly and judge their children too harshly. c) worried about the outcome of the tantrum. However, often we as parents often don’t stop to think about why our child is acting out. I have 2 children. My eldest daughter is generally pretty well behaved. However, whilst generally delightful, my toddler has developed a habit of running away in public and throwing huge tantrums in public on occasions. Until recently I tried my usual tactic of remaining calm during the incident, removing my child away from the environment and then calmly addressing what just happened. Of course this did nothing to stop the behaviour from happening again. So this led me to think a lot deeper into what might be going on. Research tells us is that children are attention junkies. They do not have an off switch. They have a thirst for knowledge and play and want to always be the centre of attention. This is interesting, because here I was expecting my 2 year old to be well behaved in situations she would obviously find boring, unstimulating and find herself not the centre of attention. So I thought back to all these episodes. Being the second child, she is often forced to do things that are not suitable or fun (such as collecting her sister from school). So this is always going to be a ‘danger zone’ as we are navigating the school children, passing by the playground and paying attention to when her sister exists class. Being with our friends is another ‘danger zone’ because we need to share our attention. Shopping is also a hot spot as we are distracted by shop assistants etc. Now, of course I do not want to create a monster who needs attention every minute, because no-one can provide a child undivided attention every minute of the day. However, I soon realised there are much clever ways to engage her in the activities we were are involved in, so that she feels valued, entertained and important, because at 2 years of age she can’t understand “mummy can’t talk or play right now!” – this conceptual understanding comes late in childhood development. Through some analysis of the situation, I realised the answer was not to work out ways to change her behaviour, but rather what I could do to involve her so that she felt her ‘attention junkie’ was being fulfilled? So we trialled my new approach during our weekly market shop. Normally, I am chasing after her at least once. So first I needed to tire her out and then I needed to get her involved. The first thing we did was visit the animals at the market. This satisfied her energy levels enough to get started on the shop. Next we grabbed her a cane basket and spoke about all the veggies we were collecting. Then she was in charge of the money and the shop was completed without a glitch. The method was relatively simply, but it just took some thinking through. This experience taught me that the pressures placed on parents to be perfect lead us to assume we must be doing something wrong if our child misbehaves, or that our child is just really naughty. But I don’t believe this is true. I believe children are sponges and love to be the centre of attention. We can’t always give it to them and there are times we need a break, but if we take charge and involve then in our activities as much as possible. They will generally reduce their outbursts, feel much more relaxed and be much happier too. So the next time your child has a temper tantrum in public, ask yourself what might be going on in terms of energy levels and engagement. Ask yourself questions, such as: is my child bored, over tired, unengaged, craving attention and so on. The answers to these questions will provide great cues as to what’s really going on and will give you a starting point to strategically and successfully move forward. What to do when you lose your self confidence as a new mum? When you become a new mum, your self confidence and self esteem can quickly take a dive, particularly when things don’t go quite as well as planned. 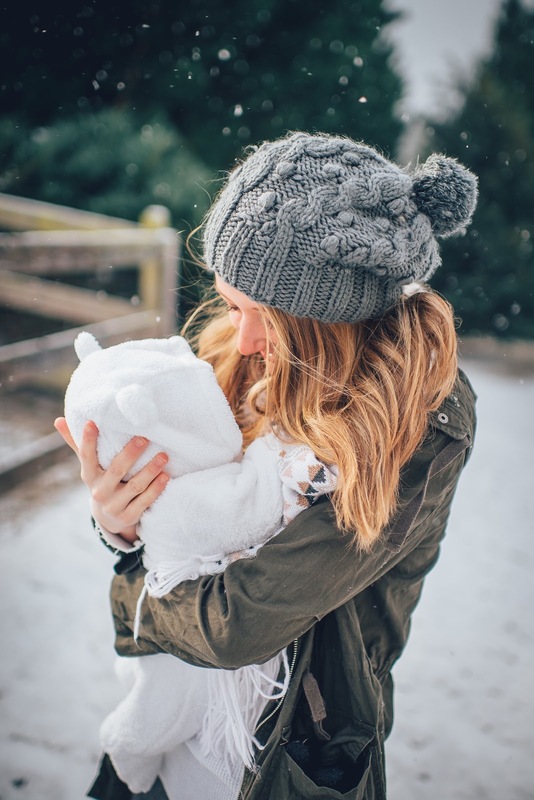 One of the major issues new mums face is shifting from being in control of your child during pregnancy to feeling completely lost as your child begins to develop and grow into this new life. When things such as breastfeeding and regular sleep do not go well, new mums often begin to question their parenting methods and begin to assume they must be doing something wrong. Add to this the opinions of friends, other mothers, family members and health professionals, its no wonder so many new mums begin to feel like failures. So what can you do if you begin to feel like a failure, or begin to self criticise yourself ? Reduce the pressure you are placing on yourself. One of the first big mistakes new mums make is to stop listening to their instincts and to begin listening instead to everyone else’s advice and opinion on how best to parent their new baby. As a new mum, it’s very easy to begin to doubt yourself when things you try (like breastfeeding or placing a baby in a swaddle to sleep) simply do not work, particularly when you have been told by experts that these are the best ways to feed or get your baby to sleep. What no-one seems to tell new mums (or perhaps as new mums it’s hard to believe), there is no 1 manual of parenting that works for every child. Each baby is different and also has a mind of his/her own. Some babies will easily soothe, for instance, whilst other will not. Some babies will sleep for 2-3 hour stretches at a time, whilst others will only power nap for 30 minutes at a time. If you begin to place too much pressure on yourself to be perfect, you will quickly begin to start feeling overwhelmed and self criticism will begin to seep into your mindset and quickly reduce your self confidence. So, the key is to have a parenting plan and then to just go with the flow. Sometimes your parenting style will work wonders, but other times it won’t (for instance if your baby is feeling overtired or unwell). These are the times to take a brake and just try something new when you are feeling more calm and rational. As a primary carer, no-one knows your baby better than you. Other experts and parents can provide you with support and advice as to what they have observed or perhaps trialled successfully with their children, but ultimately, you know your child best. You will know if your child will respond well to new environments, people and parenting styles. you will be able to assess whether sleeping methods such as controlled crying are right for your child and your family. Trust that you have your child’s best interests at heart and always look at things from the perspective of ensuring your child is safe, healthy, happy and secure (eg living in a harmonious environment). If you begin you hear yourself speaking negatively about your parenting style, try to catch yourself in the moment and refrase your words. For instance, if you catch yourself saying things like “I’m never going to get my baby to sleep”, alter this to “Every baby eventually sleeps, we just need to keep adjusting things until we get things working well for our family”. Reducing negative self talk will go a long way towards boosting your confidence and ensuring you maintain a healthy self esteem throughout motherhood. Regardless of age, every individual desires (and benefits immensely from) having consistent support and unconditional love from parents. The role of a good parent is to guide, support and nurture each child into being a confident, strong, independent and motivated adult. However, one never loses the desire to be nurtured and to feel as though there is a bond and guide there when needed. Over the years in my Marriage Counselling practice, I have heard parents say they believe their children are too old for hugs. I have also heard parents say that once a child reaches a certain age they no longer need parental support. However, this could not be further from the truth. Affection is a basic human and animal need. This need was shown experimentally in the 1960s via the Harlow psychological studies into the effects of love and deprivation on development. In these (often cruel) experiments, Harlow found that when young rhesus monkeys were provided with a choice of a ‘dummy’ mother made of wire (who provided food) and a ‘dummy’ warm/cuddly mother who provided warmth (& thus emulated the feelings of being with their real mother), they chose the warm mother more often. Hence these studies showed the monkeys would choose feelings of love and affection over the basic need – to eat. Studies like these altered the way many babies were treated in hospitals. They also helped to shape new adoption policies (e.g. trying to pair parents with babies as young as possible to enhance this bond). These studies also helped in the deinstitutionalisation of orphans and the mentally impaired. Nowadays babies are held by mothers immediately after birth and rarely taken into the nursery, unless necessary. Thus, these basic human needs are well recognised (but sometimes forgotten once a child grows up) today. As a parent of a child, or an animal, you can see the influence affection and unconditional love has on those you care for. If you neglect an animal, for instance, it will most likely cause emotional harm to the animal. I can remember in high school a friend’s brother kept his dog in a large cage at the back of their house, while he trained it to become a ferocious guard dog. Apparently, the dog was nice to the brother. However, strangers were never allowed near the dog, for fear it would attack. Thus, keeping this animal caged significantly impaired the dogs natural instincts. It was no longer loving, affectionate and playful with other members of the family, let alone strangers. Whilst as an adult it is important to be your own person and live an independent life, it is always nice to know there are others you can rely on when you need it most. These people do not have to be your parents. They can be close friends, a partner, a mentor, or other family members. The key to this special relationship is feeling secure. A close friend that thinks of your needs, is supportive, loving and affectionate, can provide the same needs of the supportive, loving and affectionate parent. These relationships are very important and deserve your time and dedication to ensure they remain healthy and ongoing throughout your lifetime. If you are a parent, don’t assume your role is no longer as important once your children ‘grow up’. It is just as important to provide unconditional love, only different. The desire for unconditional and consistent love, support and affection is innate. Therefore, it should not be provided based on age. If you are a carer of an animal, make sure you take time to treat it with regular, unconditional love and affection. Not just when you’re in the mood. Animals are sensitive and intelligent creatures and will also give you the same love and affection in return. Regardless of whether, or not you have children or animals in your life, take the time to be affectionate, loving and supporting to those you care about most. Ask for this unconditional love in return when you feel it is lacking. Finally, think about who you are asking this of . Assess whether or not they are capable of providing you with your basic needs. If not, you may need to re-think where you are placing your energy and desires. If a parent, friend or partner is unable to provide you with these basic needs, it doesn’t mean you have to stop loving them. Rather it may require you to put your energy into seeking it from those most willing and capable to provide it to you consistently. Never forget that everyone needs and deserves affection, love and support – especially YOU!